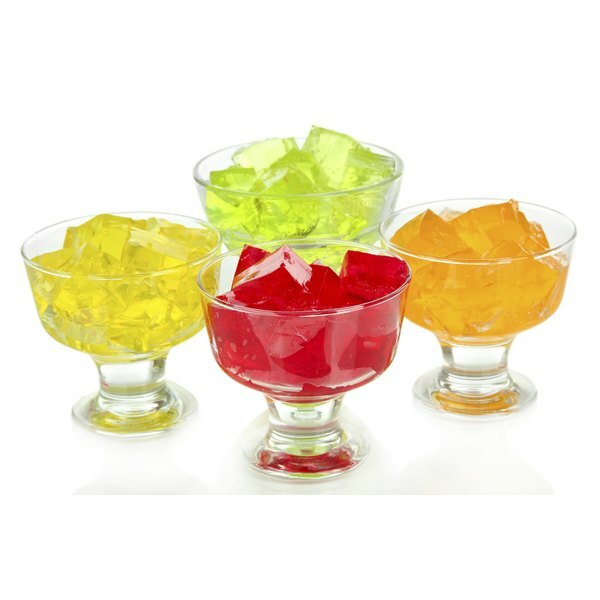 Tasty Jell-o cubes in bowls. When choosing a snack or dessert, many people opt for fat-free, sugar-free alternatives of their favorite treat. Jell-O Pudding is available in a variety of fat-free, sugar-free flavors. These include chocolate, vanilla, butterscotch, banana cream, cheesecake, chocolate fudge, lemon, pistachio and white chocolate. Fat-free, sugar-free Jell-O Pudding has only 35 calories or less per 1/2 cup serving. This is in comparison to the company's regular pudding, which has between 100 and 140 calories per serving depending on the flavor. One serving of fat-free, sugar-free Jell-O Pudding has zero fat and zero sugar. This is based on preparation with nonfat milk. Jell-O Pudding gets its sweet taste from the artificial sweetener aspartame and is safe to eat if you have diabetes. In addition, unlike sugar, aspartame does not contribute to tooth decay, according to the Mayo Clinic. 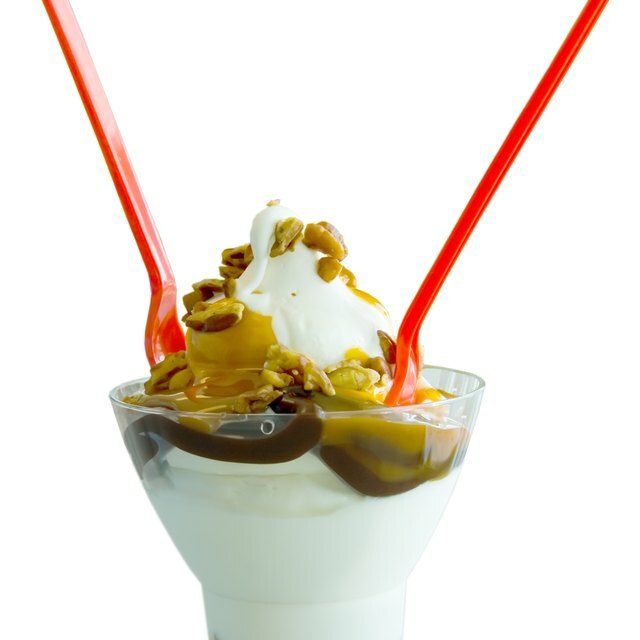 One serving of fat-free, sugar-free Jell-O Pudding has 6 g of carbohydrates and zero protein. U.S. Dietary Guidelines, issued by the U.S. Department of Agriculture and U.S. Department of Health and Human Services, suggest adults consume 130 g of carbohydrates per day. They also suggest women consume 46 g of protein per day, and men should consume 56 g of protein per day. One serving of fat-free, sugar-free Jell-O Pudding has 300 mg of sodium. The recommended daily intake of sodium is 2,400 mg. When making dietary choices, be mindful that fat-free, sugar-free Jell-O Pudding is not a good source of vitamins or minerals and therefore should be eaten in moderation and in conjunction with a well-balanced diet.